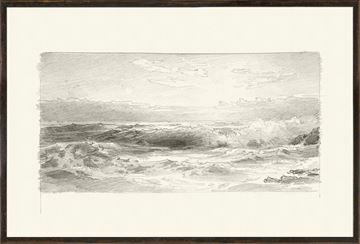 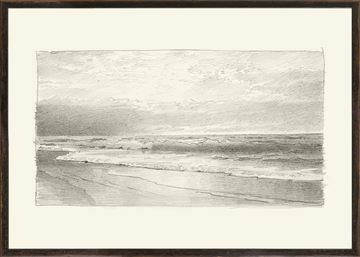 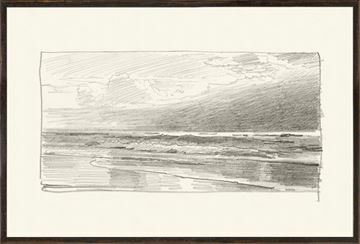 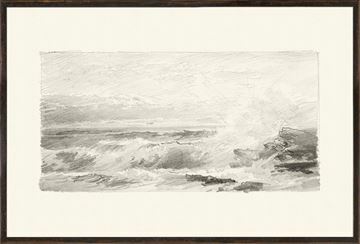 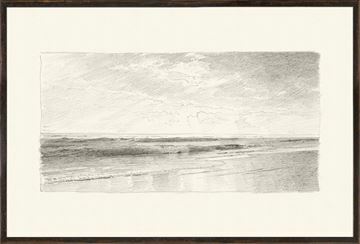 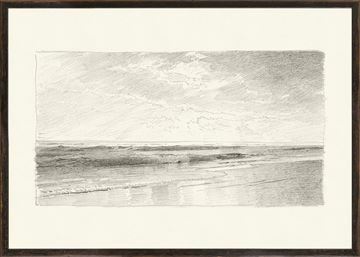 A handsome graphite drawing by William Trost Richards. 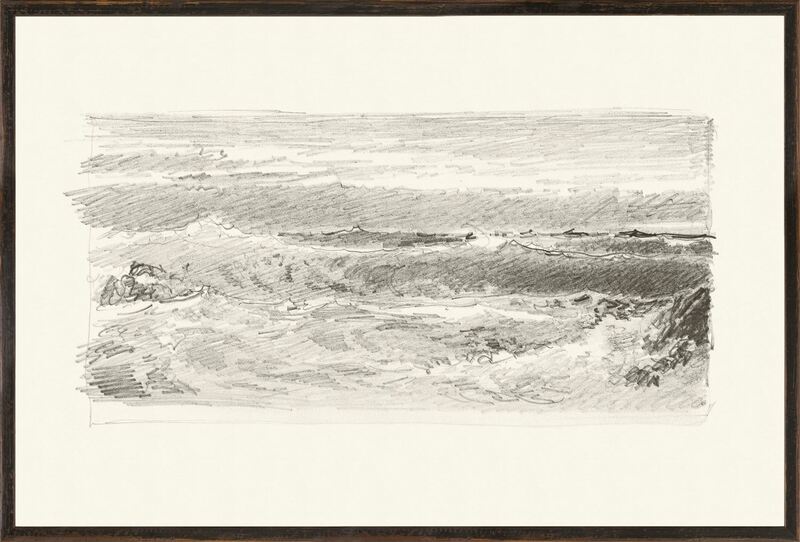 Each of these seascapes would have been sketchbook drawings for Richards exquisite watercolur ocean paintings he was so well known for. 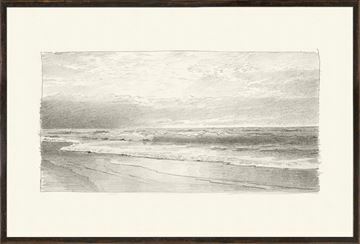 Each is framed in distressed dark wood frames for the feel of an authentic family heirloom.